Athena is the only brand making products exclusively for women. For over a decade, they've built their reputation by making high-quality cues and cases with features and designs that women love. Each pool cue includes a free 10" extension that easily screws into the base of the cue, a slightly thinner 12.5mm shaft that's perfect for smaller hands and a total length of 57 inches. Many of the cues and cases feature matching designs, making it possible to put together the perfect Athena set. 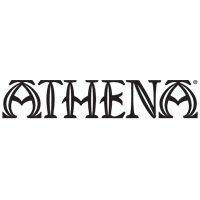 Don't forget that every Athena Pool Cue qualifies for Free Ground Shipping in the lower 48 United States! PoolDawg is an Authorized Dealer for Athena pool cues and billiards products. All Athena cues include a 1 year manufacturer's warranty.